Actually i don't know what to write here... really i don't know. I am so blur nowadays. I can't think straight and i always forget everything else. My mind thinking about my job only..my job..my job..my job... i forgot everything else. To think about it again, i should think about something else. I should think about something more than my work. I want to think more on everything else. Oh my god, my morning today was not so great as it started with a news of a patient passed away the night before. Patient that i clerk and take care for 1 month, plus a few days when i am on call. just to think about it, she passed away just like that. But i feel her pain, she use to say that she is enough with her illness and she said that she is tired. Well, i guess that was because she's anemic. My last encounter with her was because her Hb was 4 something. I can't believe i just walk to a mall and 5 minutes later i bought a RM200 pair of shoes. I can't believe i am driving my own car paid by my own sweats. I can't believe that i am talking to patients.. I can't believe i am the one who signs their log book now. I can't believe all of this haha. Still remember the day before that all of this was just a dream..it was just a dream. It was a dream no more. c/o: drowsiness for the last one week. Drowsiness usually started at 6.00 am in the morning and continuously drowsy until 7pm. After 7 pm, claim the drowsiness disaapear for few hours before narcoleptic episode around 10 pm. Currently, patient has not been sleeping since the last 24 hours because he was doing his on call. otherwise, there is no other active complain. No loss of weight, and no loss of appetite. Allergic hx - allergic to penicillin and sometimes allergic to certain type of people. Social history - Work as a house officer in Hospital Likas, work from 6.30 am until 8.00 pm everyday. Work 36 hours during on call. No smoking, no alcohol. Live somewhere around kota kinabalu. Patient comfortable, appear drowsy, pink, good hydration, exhausted. I really miss going out with Pika to Casa Raya and eat our dinner there while watching the television or just talk on whatever we want to talk about, mostly we talk about whatever we did that day. Update ourselves on each other. Miss that. I really miss going out with Pika every weekend from morning until night, spending our time in shopping mall, window shopping as we did not have money during that day. To think about it, i have money now, but i don't know how to spend it. Because everyday, i just work and if i had a day off i just sleep, eat and window shopping again because i don't know what to buy when i am alone. I really miss going out with Pika watching movie. Almost every movie in the cinema we watched every week. Everybody said that convocation happen once in your life, i am hoping for a second. It is possible that something that only can happen once, can happen twice if you really believe in it. So i believe i can. I believe because my 7 days holiday for my graduation did not work as i planned since a long time ago. I woke up as easrly as 7.15 am. i woke up at 10 am usually during my off day but not today. I have a plan. The plan was to meet a few of my friend who is having graduation with me and together we will go together to our university to settle everything before our convo start on 9th of october. I still remember that day was the most happiest day in my life since i start working as a house officer. I woke up with a smile in my face. I shower with a smile in my face. I drive to McDonald Jalan Sulaman with a smile in my face. I can even hear a music playing in my brain. So happy. 1. It happen last friday. I was post call. I am so tired walking out from the ICU ( the place where my own call was), and to my surprise that there is a lost of stall and decoration along the corridor to my ward where i supposed to work that day. It was Sambutan Hari Raya for our hospital. 2. I was so happy looking at everyone there wearing traditional baju melayu and baju kurung, cookies everywhere, there is the smell of curry and Peanut sauce, rendang..and the best thing is, there is music playing Hari raya song. I feel like Raya again. 8.00 am without the primary team supporting you. up in the middle of my on call day but i try to hold on and i made it. Oh well. my blog post seem to become like a diary nowadays. I hate it. But i dun have anything else to talk about so that is why my post was all rubbish talking about how hard my life is nowadays. Well, it seem that i can cope with it for a little now so i did enjoy my work now. Especially today because it's raya day. Haha. Holiday for me. For the first time i did not went back to my hometown during raya. Not because i don't have holiday but i am too tired to go back as it will take me half day of traveling time to go back. If my salary already out i will go back with flight but fyi, i haven't received a single cent from the goverment after working very hard for them for almost 2 months now. So today is Hari Raya and i am eating mc donald for breakfast. What a life. Hmm.... so boring alone in my house. Finally i get a sunday off this week after 2 consecutive sunday which i spend 36 hours on call. It was so nice. I woke up at 11 and i don't have anything to do. It is kind of boring but still it is the thing that i've missed so much, the boringness. Working as a house officer, even though i am new, is so exhilarating. As my colleague Shantene mention to me yesterday when i pass a case to her. "the job will never finish isn't it" she said to me. I am supposed to do my work from 6.30 am until 5pm during holiday including public holiday but yesterday until 5 pm the work did not finish. Just as i thought it is, the nurse keep coming to me and bring me another problem with another patient. Sometimes, i just want to say "Please, be healthy, don't get another problem on top of your current problem". Well, i have to make this post, to express myself to the turnover of the music industry. If anyone still remember that there is once when Hip Hop is the main music stream in this world. I remember at that time, if you look to the the west you will hear Eminem spitting his powerful lyrics. When you look to our local music scene, Too Phat was there catching every youth interest in this country. 10 years after, today, both Eminem and Too phat still vibrating in music industry. Listening to both, i start to realize that i am listening to two biggest name in Hip Hop. Eminem as the king of hip hop currently, and not to forget Too Phat has establish their empire here in Asian music culture, and i can say that it is not overreacted if i call Too Phat the King of hip hop in south east asia. When i think about it, i have this very small and limited daily schedule. Even narrower than before when i was in my holiday. 1. I woke up at 0530 and drive to Hospital at 0600. Arrive at hospital at 0620. Start my morning review at 6.30. Finish it at 8.00. 2. at 8.00 i will went to morning prayer (morning assembly). At 9.00 the round will start. It will last until 11.30 to 12.30. Then we will do discharges up until 1400. Then immediately we start doing our PM review and at 1500, the round will start again. 3. Round will finish at 1700. Then we will do discharges again up until 1830. Then i will go break my fast. At 1900, i will start doing night review, At 2000, hopefully my review done. I will go back. 4. Tapau some food and usually i reached my home at 2100/ Take my shower, then... around 2130..i will go t sleep and everything start again and again, 24/7. 1. Things going a little bit better after you off tagging and start on call. I've been on call 4 times and 2 more on call for this month. On call is the worse thing for a house officer i guess. Everyone does not want to go on call. For RM100 per night, you have to endure the suffering of doing work alone at night, make your decision and stay awake for 36 hours. 2. Now that i already on call, i learn a little on how the system work. 3. Sometimes we manage our patient not by brain but by spinal cord. Sometimes when i was awake for 36 hours after on call, my hand is writing my PM review but my brain is sleeping. The next day when i go and see my yesterday PM review, i am wondering...did i wrote this yesterday..? 1. This picture is taken after my induction program has ended. So happy yet so nervous to whatever will happen after this. End of my induction means i can start working as a provisional doctor officially. 2. Hmm...induction course was nice... you know, i think if i did not go for induction course i will not be ready to work in goverment sector. I acquired a lot of new information regarding my work eg: regarding salary, allowance, my role, leave, and how to proceed for further study to become specialist. 3. Biro Tata Negara course is completely different from induction. Hm...don't want to talk about it but seriously, i dun like it much. I love my country and i love to learn history of my country, but you know...sometimes..history can be subjective. That should not happen. However, what to say. Klang - I am in my induction course right now. It was kind of boring because i was stuck here in Puteri Garden Hotel, Klang. I never been to Klang before. In fact, i seldom went to peninsular Malaysia. 2. Yesterday, because of so boring staying in the hotel ( the whole day we listen to talk by various people regarding our role in goverment and everything else), and we have a few hours of rest before dinner served, so me and my roomate (yes, my roomate in UMS happen to be my roomate here also) talk a walk around the hotel. 3. To my surprise, when we were walking around, i feel so unique because everyone else around me are indians. Indian silk shop, indian restaurant, indian textile shop, and even the pedestrian, and most of the people driving in the street are indian. 4. I never had an encounter like this before. In place where i came from, there are no such places which is specific to one race only. Everywhere is kind of mixed. UPDATE- HOTEL PUTERI GARDEN, KLANG. Finally i received my posting letter. I'm posted to Hospital Queen Elizabeth. Ready to report for duty next week. 1. So dizzy thinking on how my life really mess up now. Things are so complicated. 2. Here is what i anticipate to happen in front of me within this few weeks.... first i go to induction, then came back to Labuan at 10th of July, then ready to go to wherever they posted me and start working at 12th of july. Without any preparation.... i have to start working. I don't even know where will i be posted yet until today. 3. What about house? Where should i stay? My car? How to bring my car there? Where is there? 1. Well, after around 2 months staying at home..hmmm..yeah exactly 2 months for me, now i've been called to induction course in Klang. 3. Feel kind of lazy to go start back doing some activity that people told you to do so. For this 2 moths, my activity is doing whatever i wanted to do without anyone else telling. Boss for myself for 2 months. 4. As usual, feel nervous for it. Mostly not nervous for the induction course but the life after it. The life when i will start working as a house officer. For 5 years, i've been told that HO life is the worse life an occupation can offer. None other job worse like this 2 years period of time. 5. I doubt that (have to). Maybe i will feel enjoy or whatever. Maybe i will perceived it differently. Like when i start my medical study, everyone said that medical study have no life or whatever, yes, that is true, but still i enjoy it. Now i even miss that 5 years of medical study in UMS. so fun. LABUAN- Just yesterday i went to Klinik Kesihatan Labuan and was disappointed by them regarding my medical check up form. I received letter from SPA a day before that and there is medical check up form inside. So as other people would normally did, i went to Klinik Kesihatan to do that medical check up. When i went to Klinik Kesihatan Labuan, i have to take number and wait for my turn. After that, my number was called and i went to the counter and tell them my intention to get a medical check up for SPA. They said " you cannot do this med check up not until you receive letter that tell you where you will be working later. If we do this check up, we need about 2-3 weeks to process and if you are posted to other state then it will be difficult. You can do it in the state where you are posted later." I was like...confused. Then what should i do? They asked me to meet their superior and the same thing was said by their superior. 1. I am waiting for my letter from SPA to appoint me as a doctor and also letter from MMC to give me the license of becoming a doctor. Both not arrive yet. I don't know what to say. 1. Labuan is a very hot island. Everyone that has been to labuan know about this. If you never been to labuan, you can try once. If you hate dark skin, labuan is not a place for you. 2. In other places (most of them), when you are not exposed directly to the sunlight, you will not get a darker skin but here in Labuan, even you stay at home or under the shed, you will still become darker. Just with the indirect sunlight, you will feel how hot this island is. If you exposed yourself directly under the sunlight, you will get sun burn. Surely. 3. Inside my house now, the temperature is 36 degree celcius. It is almost equal to your core body temperature. I doubt the temperature outside the house under the sunlight is lower than this. 4. Why is it so hot nowadays? Is Global Warming real? Can we do something about it? 1. 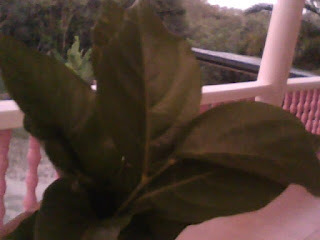 This is a type of leave that grow from a bunch of tree called Paha Paha around my house. Obviously for me and most Brunei tribe of people in Labuan ( or can i say all labuanite) know about this leaves. It was classified as vegetables by most people who knew about it. Still, it does not look like one and the tree look like hibiscus tree and can grow up to 4 metres tall. Only the young leaves is edible. 2. It does look like a normal type of leaves but beware, it was a delicacy. Its taste superior to other vegetables you ever eat. It is sweet and have this king of natural MSG inside it. Just boil it with anything or stir fry it with nothing else, you will taste the most delicious vegetable ever in your life. 1. Not many know about this brand called CSL. It is claimed to be the first Malaysian brand Handphone. However, i learned that the part for this mobile phone was imported from China. They assemble it in Malaysia though. So not so strong enough to claim this as a Malaysian Phone. It should be called hybrid or something. 2. So when i bought my phone almost 2 years ago, this brand was all new. So no one had a good review on it. I was taking a risk to buy it. The reason is because this phone is cheap and look exactly like those branded phone. 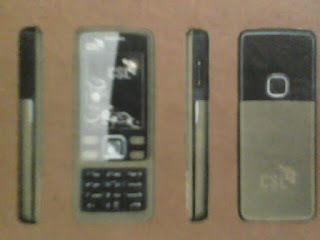 It was like a clone phone from other brand such as nokia. 3. So, after 2 years, if someone ask me whether it is good or not? I would say don't buy it for the moment. This phone main problem is the software it is not that user friendly type. But that does not matter for a guy that can think a little complicated than user-friendly. 1. What is the most common breakfast in Malaysia? 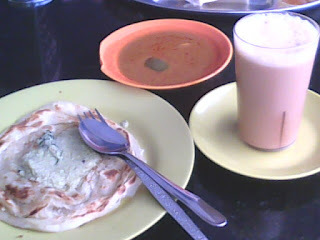 None other than Roti Canai with a glass of sweet Teh Tarik. 2. It does not matter which state you came from, when ask about it, everyone seem to be familiar with it. Another interesting fact about it is that everyone seem to have this roti canai outside. Rarely you heard that someone is enjoying homemade roti canai or eat roti canai at home. Everyone must eat it outside. 3. I am not sure but they said that this delicacies originated from India, brought by Indian immigrant to Malaysia but it seem that we cannot find this food in India. It can be only enjoyed here in Malaysia and Singapore i think and Brunei also. Thus, this is Malaysian food. Now it made not only by indian but also malay, chinese and of you are in Sabah, it was made by 30+ different tribe here in malaysia and even non-malaysian in Sabah (illegal immigrant) can made this simple and delicious breakfast. 1. Slim shady is back. After a year of waiting, i finally has a chance to listen to his sequel of the previous Relapse album that was released on 2009. Some people say that this is the most anticipated hip hop album of the year. After a year of announcement on its released, finally the album is here. 2. When i hear his previous Relapse album, i was a little disappointed since the flow and Eminem's style totally change and sound a little rubbish and boring, so i hope Recovery won't follow the step of Relapse. 3. Luckily, it does not. This new album reveal a brand new style of Eminem fused with his old angry lyrical style, honest, but he is much better controlled than last year. No more song for dissing a lot of pop celebrity or many call it as " Please stand up song". All the song in this album is much more honest than before. What is good about this album? 1. I've been wondering since the 2010 World Cup started a few days ago, what is that buzzing sound? It sound like a swarm of bee that live under our home sink in the kitchen. 2. My mother always complaining about the sound and told us to lower down the volume so that the buzzing sound cannot be heard, but of course, we can't hear anything in the TV if we lower down the volume so that the buzzing sound disappear. 3. . So i had enough of wondering today so i look in the internet and i found out that the buzzing sound was produce by an instrument called Vuvuzela. 4. Oh, ouch, i thought that sound is produce by a swarm of bee. My father (on the first day of World Cup 2010) said that the sound was intentionally created as a theme for this year world cup. I guess it is not since lot of people are protesting about the sound, most of them who are in South Africa right now. 5. Imagine you are in that stadium with that loud buzzing sound...oh you will become deaf in a month. I believe that the number will be higher. There will be more than 128 000, if we did not do anything about it. Thus we determine the future. We determine the figure. Every life is precious to us and we don't want any more people die because of this disease. It is a preventable disease. It can be stopped. There could be people with HIV all around you, you should protect yourselves, you should increase awareness of the people around you, live a healthy life, can tested. Young people is affected more thus education is the most single important thing to prevent the spread of the disease. Aids did not kill own its own, it's weaken our immune system or body defense system against other infection making you cannot fight any infection own your own. Even a non life threatening infection can be deadly in AIDS patient. Twilight ; Real good, good, or not good at all? 1. I've watched Twilight. Both of 'em. I did not read the book though, but i guess it is an ok story. 2. From my perspective, the story of twilight is like a love version of underworld. A story about vampire..well, i don't like vampire that much. And...nothing more than that. It is a typical love story franchise, and i can say it is the biggest love story franchise there is in the world today. 3. However, from my own research which include not a significant number of candidate but still, i believe most of other additional candidate will answer the same thing..... that twilight strongest value is the male character, the sexiness of the male inside the movie. 4. Twilight is really clever, who ever make twilight should be call a clever person since as we know, if you can attract girls in the world, you will conquer the world and you can neglect the insignificant number of boys, men, and old people no matter what gender they are.
. Something funny happen today. A few people in my village are searching for some lizard called anggak ( in my brunei language). They say that this lizard cost up to Rm30 000 in the market. 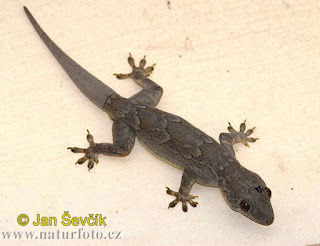 What funny about this is that this lizard used to live in our house a few years ago, not one, but many of them live. 2. It was maybe more than 10 years ago. During that time, tormal house lizard was eaten by this big lizard. It was scary. I used to be scared by this kind of lizard and if i saw it ( i was a child at that time), i will run away and shout..."ahh...anggak...." then start to call my dad to throw it away. 3. After a quite some time, those lizard start to disappear from our house. Some of them were eaten by our cats. We used to throw them away because it was not nice when you sit in your living room, and one of the big lizard start to crawl on your ceiling. Not nice to see. Thus, today, i never see them again. I wonder why. And i almost forgot their name...anggak. 1. A lot of assumption had been made since the flotilla incident about a few days ago. People start protesting everywhere around the world towards Israel. Well, it was a relieve to see that there are still human around the world after a very long period, we only see America and Israel species raging their voices. 2. What i like about this kind of protester is, they did not make assumption like those who are pro israel do. The protest were backed up by the fact that a human crime was done by the side they are protesting. In the other hand, those pro Israel side always make an assumption. 1. It has been 5 years + since i start writing a blog. 10th of February 2006 is my first time writing in a blog and now almost 5 years, i still do. 2. No reason for me to keep my blog alive because i am not chasing for publicity, money, fame, or anything else. I just keep it because of my passion on writing and sharing something with everyone. Although, i will not share more than what i should, and most of my entry is not about my personal life but more on to my personal opinion. 1. I am not referring to all jews cause obviously if you practice true religion, you will not do such thing as israel do. I am very sure that Isreal is doing something wrong since years ago when America and europe won't recongnize every evil deed that this country has performed. 2. Now with the new update that Isreal attack a humanitarian vessels sending supply to gaza, it should open human eyes all over the world towards this matter. What dictionary did they use if they did not define this as terrorism itself perform by israel. Terrorism is not a big word nowadays and Israel should not be exempted from the use of it. 3. Israel as obvious with other media propaganda from the west obviously, with their usual first step toward defending their own kind terrorism, said that the activist in the vessels attack them first... What a propaganda. It is like a child who do not want to first admit his own fault but try to blame other first. A very great defense mechanism.